My Beatport DJ chart (June 2012) is available! 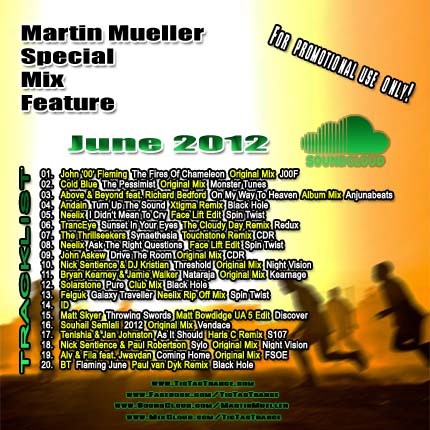 Soundcloud June 2012 Mix available! 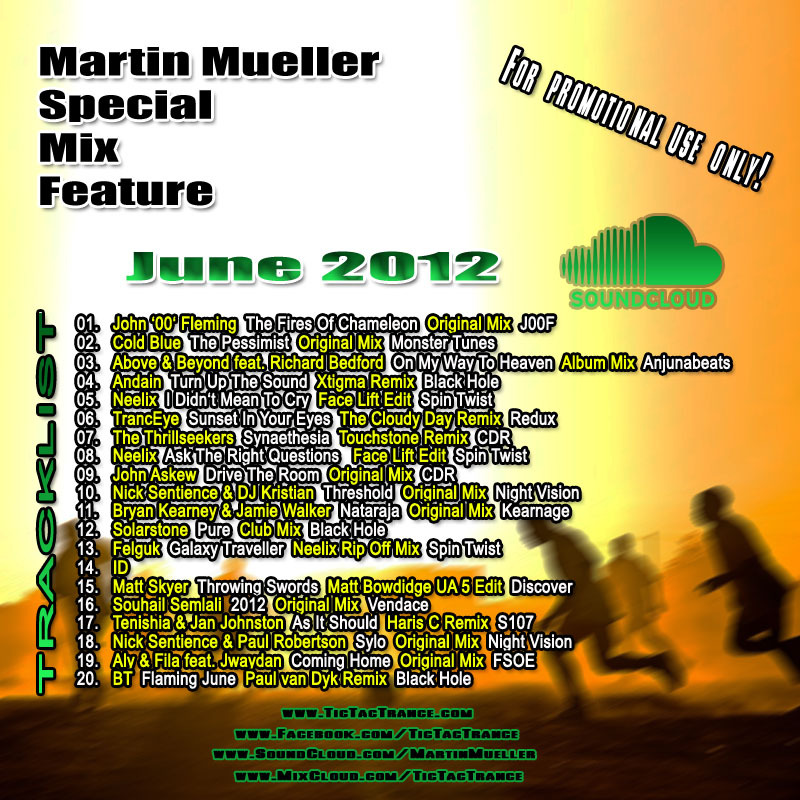 The fourth one (June 2012) of many monthly, mini-mix series is now available on my SOUNDCLOUD page. This time even more tracks included in just one hour. Enjoy! Tic Tac Trance #054 Replay available! 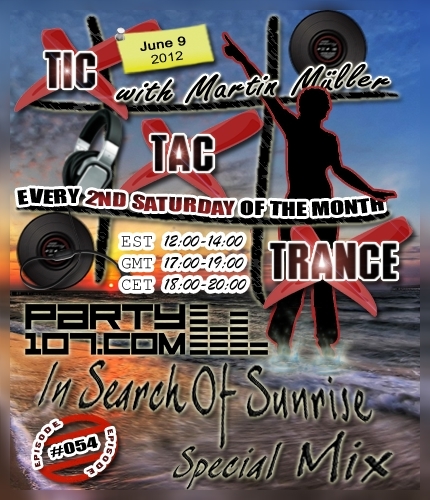 The In Search Of Sunrise Special Edition of Tic Tac Trance #054 will air on June 9 @Party107 and will feature in the first hour a megamix with current tunes released by labels like Enhanced, Perfecto, Subculture, Night Vision and many many more! For the second hour I will present you a big part of my “In Search Of Sunrise 10” CD-Mix, which was originally done for Richard Durand’s ISOS Competition.